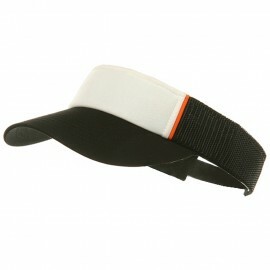 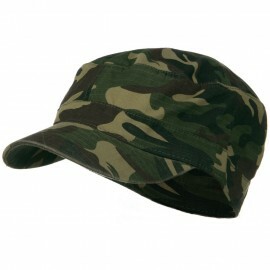 One Size with Plastic Adjustable Snap. 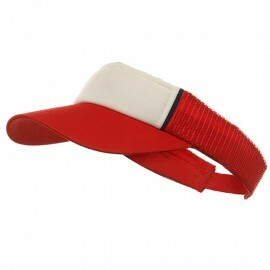 Bill measures 3 inches Long, Crown 2 inches High. 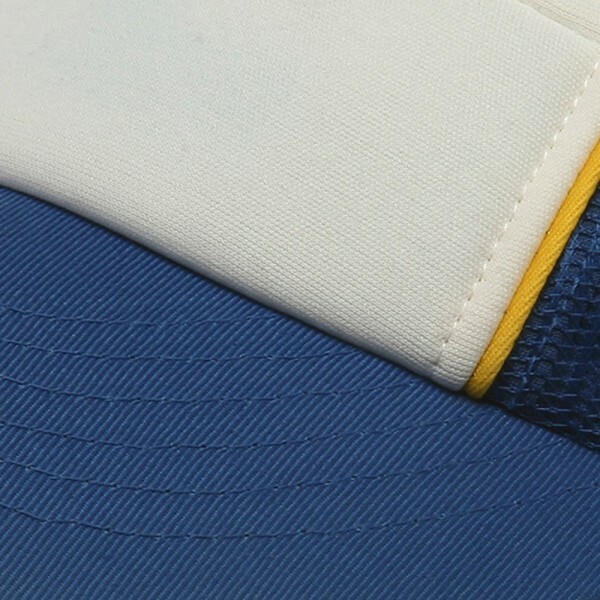 Pre Curved, Same Color under Visor. You don't have to play like a pro to look like one when you wear our new mesh visor. 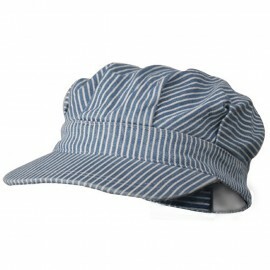 Made from a unique blend of cotton and polyester, this royal blue and white hat is perfect for all your outdoor activities. 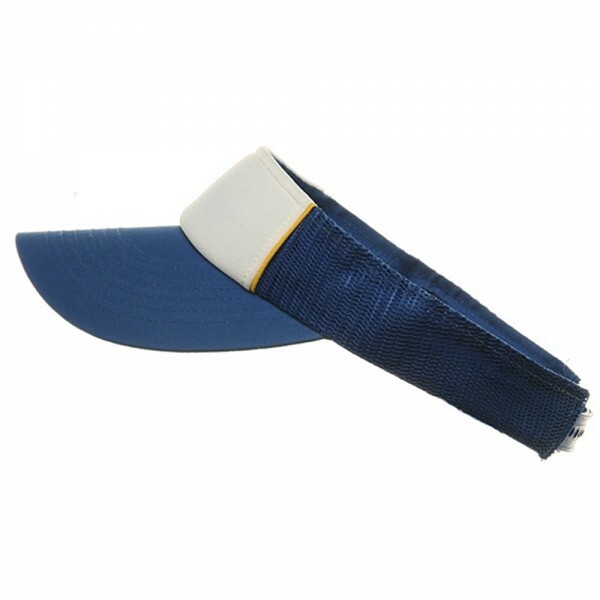 Whether you are a professional or just watch them from the comfort and safety of your couch, the 3/4" fabric sweat band and 3" inch long precurved visor will provide you head with maximum protection and cool comfort until half time. 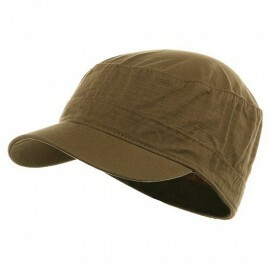 Featuring three panels this hat sports a 2" high crown, made with reinforced stitching for added durability and support. 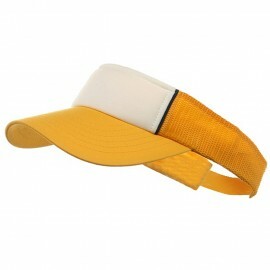 The front panel is a white padded panel, featuring yellow piping decoration on either end. 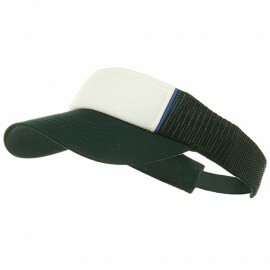 The final two panels on either side of this white panel are a breathable blue mesh, perfect for those games outdoors. 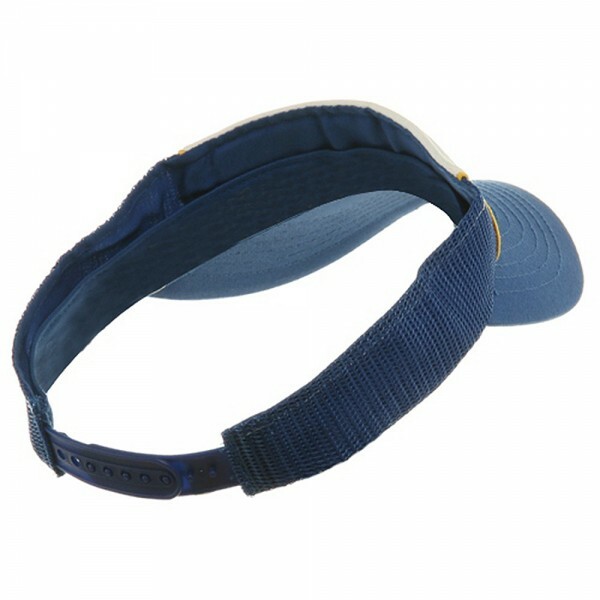 Secured in the back with an adjustable snap buckle, allowing you to choose the perfect fit for your head. 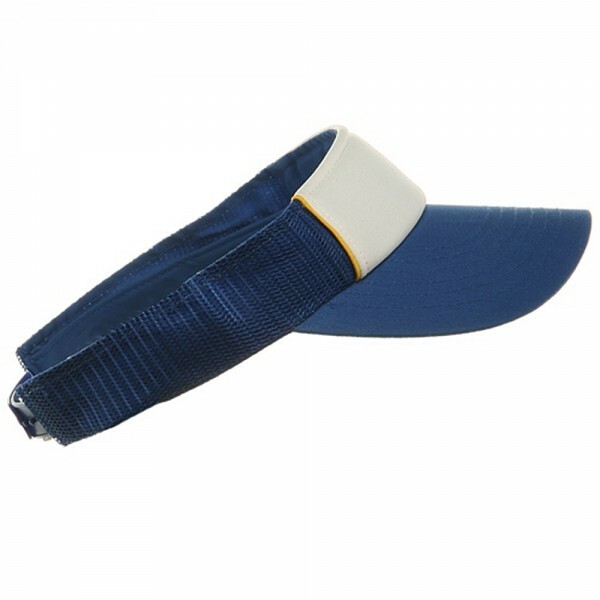 No mater what you are doing, camping, hanging out with your friends by the pool or maybe even going for that championship win, this hat is guaranteed to make you look and feel like a winner.